I cannot believe I’ve spent so much time living in Utah without having heard Batty Blue. 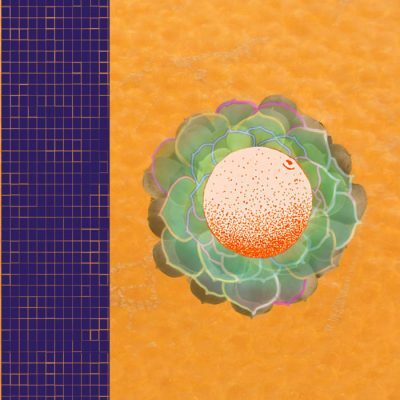 Peeling an Orange or Flattening a Sphere is one of the best local albums I’ve heard in a long time, mixing a folk-indie sound with metatrash, mythical imagery and impressive poetry. Straight from Provo, Utah, Batty Blues’ bandmates—Jess Perry, Tess Bybee, Paula Bravo and Cat Leavy—have truly created a powerful album that makes for relaxed yet contemplative listening. I melted while listening to “Chocolate,” its echoey vocals and moving beat almost hypnotic. The instruments in this album are so incredibly fun. The guitar is always playing something different; the keyboard and synth lend the album a ’70s vibe; and the accordion is one of my favorite aspects, lending Peeling an Orange a unique lens. Religious and mythical imagery floods this album, especially in “Small Even.” Unlike the others, though, “Magic Pearl Power” is a song truly dedicated to love and loss, opening with “I often picture myself tracing over the lines in your palms, like the grain of some antique wood. I’ve caught myself in your splinters,” but ending on a much darker note. “Ukiyo” and “Milk Fangs” have some of the most intense lyrics in the entire album. My favorite song must be “Precious Twin,” because it has such a groovy vibe that blends well with the spooky vocals that wail, “I feel my fingertips split and then open. My skeleton tries to leave my body.” I think, at some point, we have all been at this level, one way or another. “Hedon” has an appearance with local Baby Ghosts that I absolutely love, as it hinges off “Precious Twin” and sounds incredible. I had to stop listening to my headphones for this one and share it with people around me.